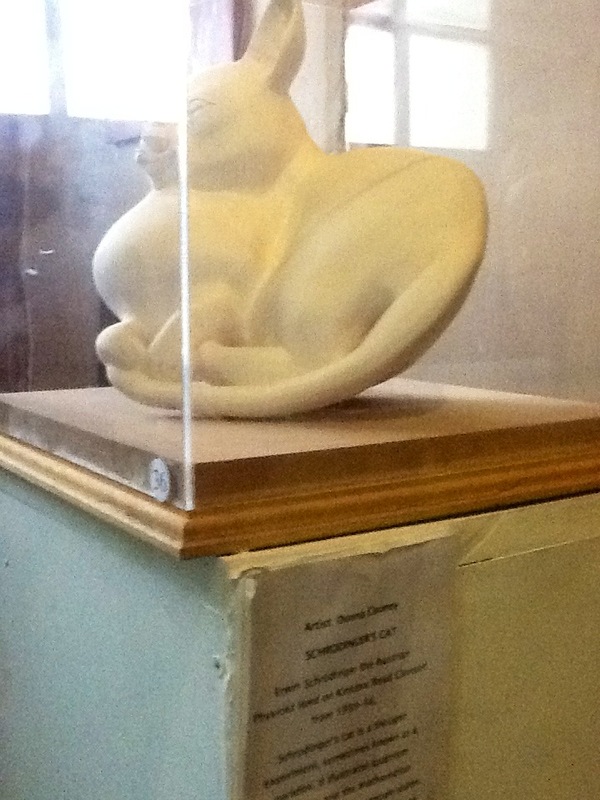 Title: “Schrodinger’s cat” Medium: Carved plaster in Perspex box. 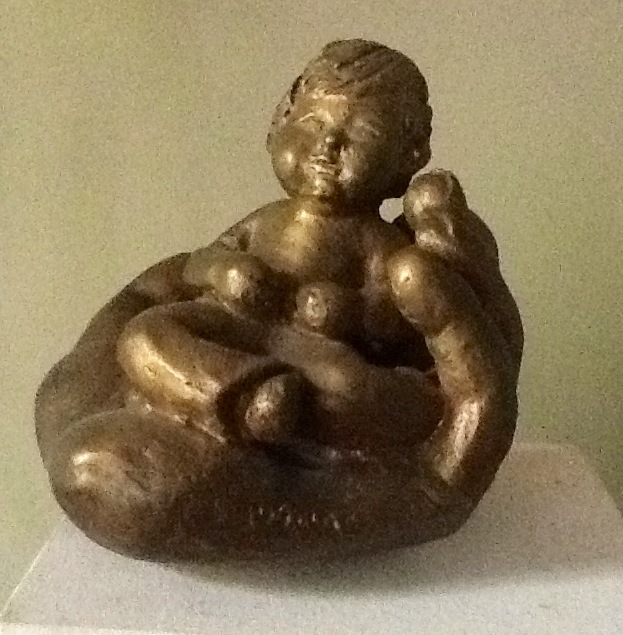 Title: “Baby in hand” Medium: Cast bronze. 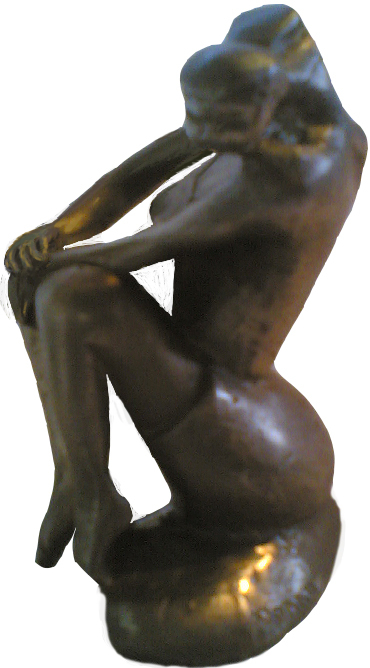 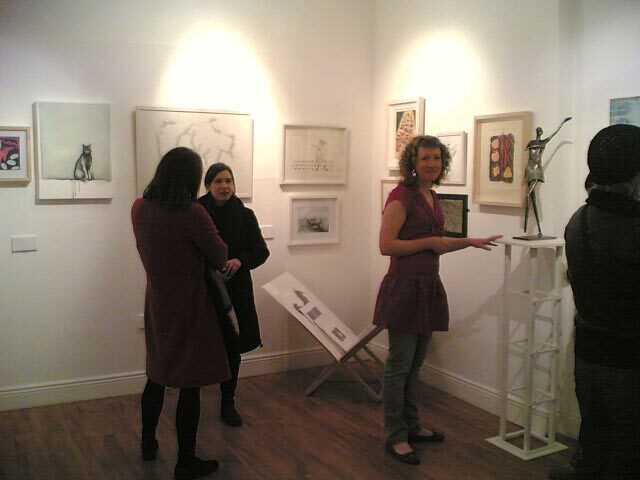 Title “Looking at fish” bronze sculpture exhibited in the Royal Ulster Academy.